Kuwait, 6th November 2014: Being only 90 minutes’ flight away from Kuwait, Dubai is an ideal location for a second home, or even a primary home, for some Kuwaitis. No wonder, Kuwaitis are one of the biggest investors in Dubai’s real-estate sector, compared to other GCC countries. According to figures released by International Property Show (IPS) 2015, which will be held from 30 March – 1 April 2015, and UAE Ministry of Finance, GCC ownership in the UAE amounted to 11,761 properties in 2012, an increase of 8% over 2011. In fact, the largest share of the total property ownerships was taken up by Kuwaiti citizens, with a total 6,947 properties by the end of 2012, representing a whopping 59% of the total GCC property ownerships. IPS 2015 will attract companies from Kuwait, especially those with serious potential for partnerships in property industry in the Emirate. “What is more interesting about Kuwaitis is their quick decision making in buying properties in the UAE due to their confidence in the UAE property market and due to the factor of proximity. Thanks to their high spending power, many tend to buy multiple units as vacation homes. Dubai's real estate market is now more stable and sustainable, which had improved confidence mainly among GCC investors. “The UAE and Kuwaiti construction sectors are linked in several ways, being two leading markets in the Middle East region,” said Al Shezawi. “We are expecting high footfall from Kuwaiti visitors who wish to conduct one-to-one meetings with IPS exhibitors and grab offerings at the three day show,” added Al Shezawi. IPS has registered to date participations from 120 countries, reflecting an increase by 33.3% compared to the previous edition. 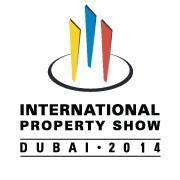 The show will witness wide participation from the Gulf region out of the 300 total exhibitors. Exhibitors are coming from all over Europe, Asia Pacific and North and South-East Africa. These will include developers involved in the development of residential communities and high-rise buildings, entertainment facilities, retail outlets, financial institutions, banks and investment companies, pension funds, asset management companies, authorities, investment zones and engineers of construction and interior design. Strategic Marketing & Exhibitions is the organizer of IPS. The company is a leading exposition and conference organizers in the UAE, based in Dubai that has grown dramatically and contributed immensely to the exhibition industry, thus gaining reputation as one of the leading experts in all aspects related to the exhibition industry.